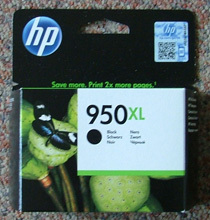 Same approx page yield 1,500 x A4, based on 5% ink coverage. Great value. 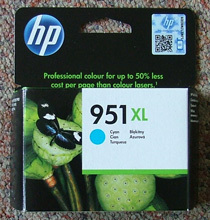 Great reliability and print quality. 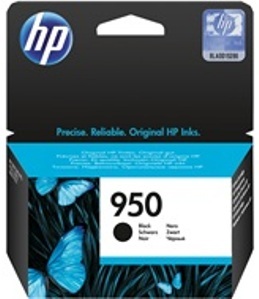 CN049AE – Genuine HP950 BLACK STANDARD YIELD Ink Cartridge – delivered FAST & FREE! 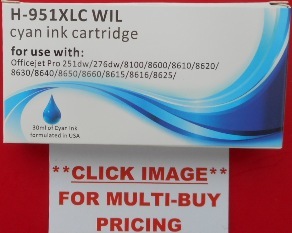 CN046AE – Genuine HP951XL CYAN Ink Cartridge – delivered FAST & FREE! CN047AE – Genuine HP951XL MAGENTA Ink Cartridge – delivered FAST & FREE! 2. 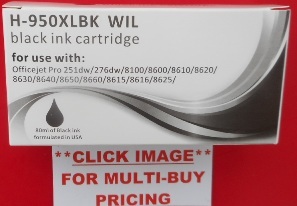 CN045Comp – Fully Guaranteed Compatible HP 950XL BLACK HIGH YIELD ink cartridge – delivered FAST & FREE	 CN045AE – Genuine HP950XL BLACK HIGH YIELD Ink Cartridge – delivered FAST & FREE!